Il direttore della Laogai Research Foundation di Washington, Harry Wu, ha presentato un esposto al Parlamento delle Hawaii sollevando la questione della vendita di cadaveri e dell’esposizione di corpi a scopo commerciale, presenti anche nell’Ala Moana Center nelle Hawaii. 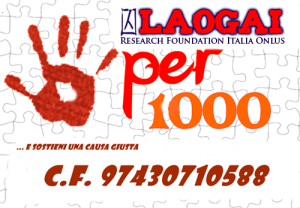 The Laogai Research Foundation (LRF) remains highly concerned about the provenance of human remains which are on display in several popular exhibits appearing throughout the U.S. and the world, including “Bodies… the Exhibition,” which was previously hosted by the Ala Moana Center in Hawaii and is owned by Atlanta-based Premier Exhibitions Inc. (“Premier”). It has become clear over the past few years, and Premier has acknowledged, that the company has not identified the decedents whose remains appear in its exhibits and that no consent was given by the decedents or their next of kin for their remains to be used in this manner. Moreover, our analysis of Premier’s business practices leads us to believe that there is a distinct possibility that some of the remains on display in its exhibits could be those of executed Chinese prisoners. Our assessment is informed by our extensive knowledge of China’s penal system. Since founding the Laogai Research Foundation in 1992, I have been investigating human rights abuses in China and, in particular, abuses relating to the Laogai–China’s extensive network of forced-labor prison camps. Having been incarcerated in twelve different Laogai camps as a political prisoner from 1960 to 1979, I also have first-hand insight into the way these camps operate. Prisoners in China are exploited by the State in every possible way, primarily for their labor, which generates tremendous profits for the repressive Chinese regime. Even after death, though, the exploitation of prisoners does not stop. In order comprehend how the bodies of executed Chinese prisoners could essentially be sold to private corporations, it helps to first understand another atrocious practice that is widespread throughout Chinese prison camps and more firmly established–the harvesting of organs from executed prisoners. Chinese medical practices developed significantly during the 1980’s, and with the introduction of the drug cyclosporine-A in 1985, medical expertise was sufficient enough to allow for regular organ transplantations. 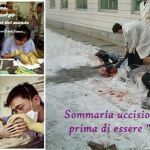 However, the supply of donated organs in China is very limited. There simply is no culture of organ donation in China, and the practice remains very uncommon. Public campaigns to foster such a culture are frustrated by a traditional preference among Chinese to have their bodies buried intact. With demand for the procedure growing, however, Chinese hospitals and government agencies decided to look elsewhere for a supply of healthy organs, which they found in the Laogai. In China, there are currently 68 capital offenses, including non-violent crimes and political crimes. With throngs of poor economic migrants traveling from the Chinese countryside to its cities each year, and China’s public security agencies responding to the resulting increases in crime with so-called “strike hard” (yanda) campaigns, the number of prisoners on China’s death row has been immense. While the exact number of executions carried out each year is closely guarded as a State secret, several human rights groups estimate the annual figures to be in the thousands, more than all the other nations in the world combined. In recent years, China has switched from executing prisoners with a bullet in the back of the head to using lethal injection, a method that facilitates the extraction of organs by medical personnel after death. My investigations, dating back to the early 1990’s, have shown that Chinese hospitals regularly broker deals to supply privileged Chinese and foreign citizens with needed organs harvested from executed Chinese prisoners. It is completely ordinary in China for an ambulance to be standing by at the site of an execution, with medical personnel ready to quickly remove needed organs and hurry them off to the waiting hospital. In 1994 I assisted the BBC in producing a major report on the subject, which showed the practice to be a matter of national policy. In 2001 my Foundation released an in-depth report, entitled Communist Charity, detailing the irrefutable evidence on the practice. Still, the Chinese continued to deny these allegations until confirmation finally came in 2006, when China’s Vice-Minister of Health, Mr. Huang Jiefu, publicly admitted that more than 95% of the organs used in medical transplants in the country come from executed prisoners. Such an assertion is astounding, considering that China is now second only to the U.S. in the number of transplants performed each year. 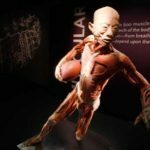 Given how willing the Chinese government is to sell the organs of its executed prisoners to ill patients, it is not too difficult to believe that the trafficking of human organs in China has expanded to include entire human bodies, some of which appear in the popular anatomical exhibits that are on tour right here in the U.S. 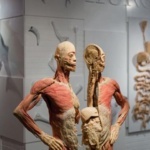 Employing a technique known as plastination, wherein human tissue is preserved by removing it of liquids and fats and then injecting it with a plastic polymer, exhibits such as “Bodies… The Exhibition” display neatly dissected cadavers and individual organs to the public for a price of $20-$30 per person. Premier’s exhibits are supplied plastinated specimens by the Dalian Hoffen Bio Technique Company Lmt. (“DHBTC”) in Dalian, China, which is owned by Dr. Sui Hongjin. The contract between Premier and DHBTC is reported to be worth $25 million. At first, Premier was very vague in describing the provenance of its specimens, claiming that they were “acquired by legal means with the highest of ethical standards.” Later, Premier revealed that it was using “unclaimed” bodies, which it said were obtained from Dalian Medical University, though it offered no official explanation of what exactly that term meant or how said bodies came to be “unclaimed”. It may indeed be the case that those bodies were unclaimed, but I know that in China, this is a category which can include the bodies of executed prisoners. Typically, the families of executed prisoners are not even notified that the execution has taken place until after the fact, and while they may receive cremated remains of the executed prisoner, they cannot claim the bodies, which are essentially the property of the prison. Last year, new evidence surfaced that reaffirmed my suspicions about the specimens in Premier’s exhibits. An ABC News “20/20” investigation which aired in February provided evidence of this illicit body trade when they tracked down a broker who claimed to have bought more than 100 bodies from the police in China and sold them to the DHBTC. He even provided pictures of some of the blood stained corpses, hands still bound, which he saw during his first such transaction. This story prompted New York State Attorney General Andrew Cuomo to launch a probe of Premier’s exhibits. Mr. Cuomo’s investigation found that the bodies displayed by Premier in New York were “originally received by the Chinese Bureau of Police.” Moreover, the investigation found that Premier’s prior assertions that it could independently confirm that the body parts in its exhibits did not belong to executed Chinese prisoners were false. Subsequently, Premier agreed to disclose these findings on its website and in the lobbies of its New York exhibits. Premier continues to deny that the bodies it displays could be those of executed Chinese prisoners. The evidence to the contrary, though, is very convincing. That Premier has relied so readily on the assurances of its Chinese partners is, in my opinion, grossly negligent. 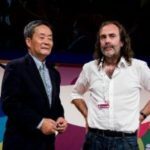 Corruption and exploitation are pervasive in China, and had Premier exercised a proper degree of due diligence, it would know that China has gone to great lengths to cover up the scale of its human rights violations, including its forced labor practices, mass executions, and organ harvesting. Any human rights expert could have told Premier about the many obvious causes for concern in obtaining dead bodies from China. In any case, it is now undisputed that Premier is displaying the bodies and body parts of individuals who did not consent for them to be used in that way and profiting from it greatly. Such a form of corporate exploitation is far from ethical, and it should also be illegal. But I do strongly believe that some of the bodies for which Premier holds a “lease,” could be those of executed Chinese prisoners. For a group of people who have suffered so much during life to be subject to such an indignity after life is reprehensible to say the least. I hope that the State of Hawaii will enact House Bills 28 and 29, which I believe will place adequate and ethical restrictions on the buying, selling, and commercial display of human bodies, so that in the future Premier and companies like it will not find a partner complicit in these opprobrious practices in Hawaii.